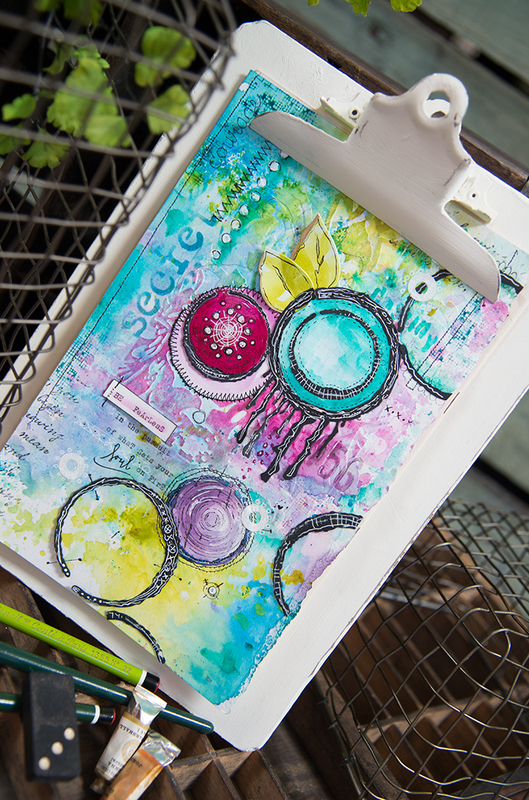 How to make a colorful mixed media art piece as found in Stampington’s Fall 2016 Art Journaling magazine. 1. 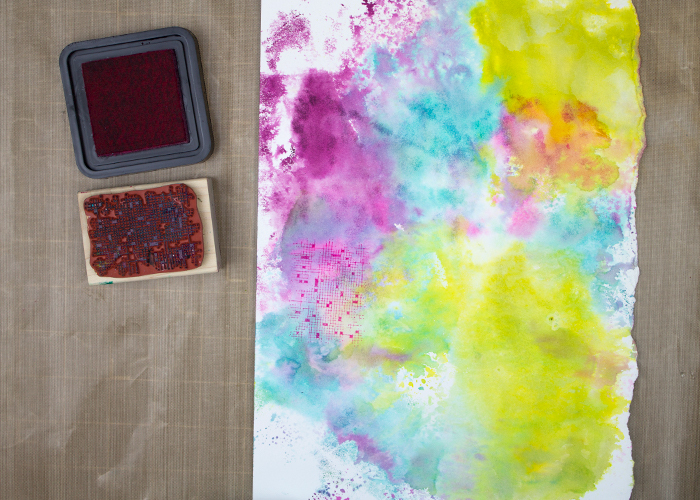 Using a non-stick mat, place several colors of ink face down onto the mat and press gently to release the ink. 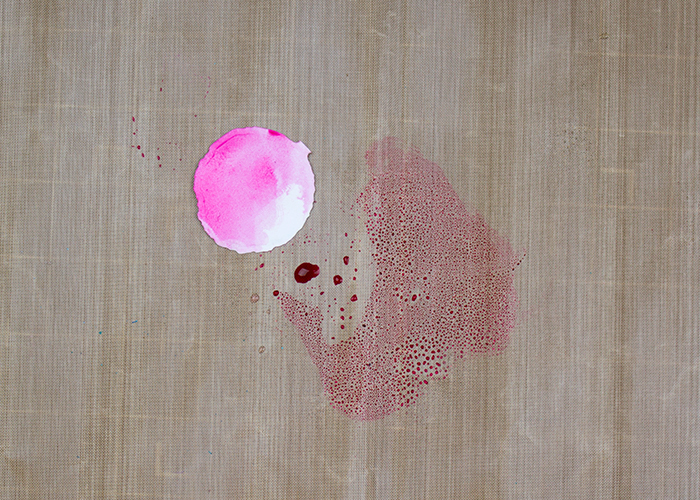 Remove inkpads and mist area with water until small beads form. 2. Use a piece of 140 lb. 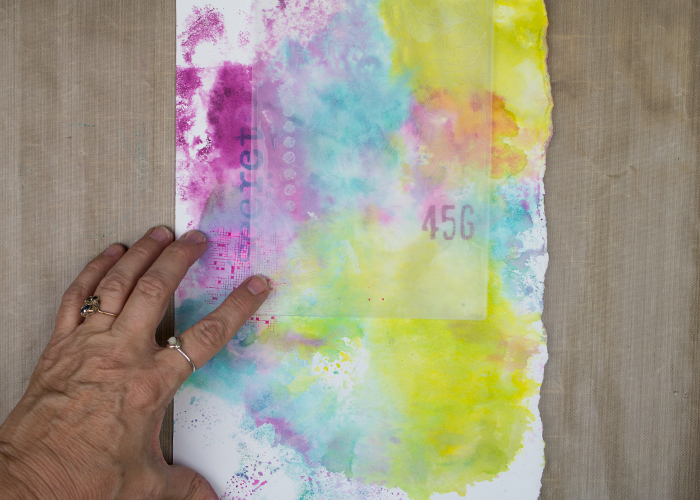 mixed-media paper and lay into area. 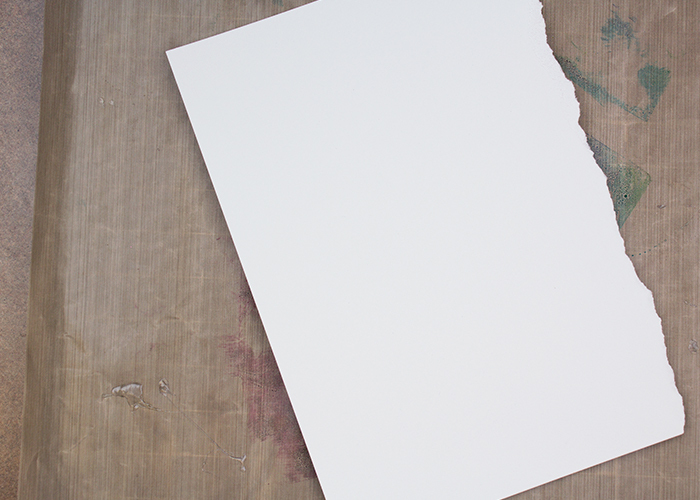 Lift paper and place in another section if paper is not fully covered or redo the ink on the mat and place paper into the new mix. 3. This is how it should look. Go back in and add more color if a more intense color is desired. 4. 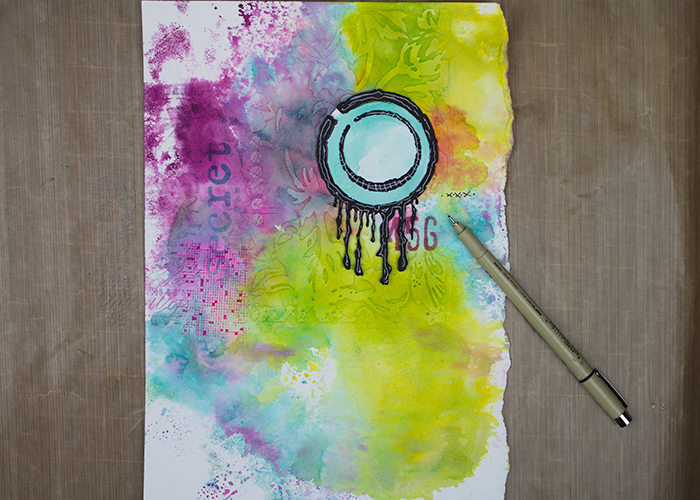 Stamp a background stamp onto page using coordinating inks. 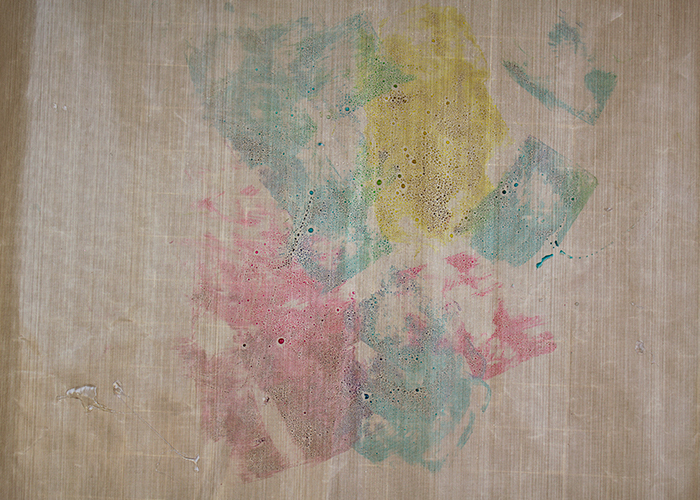 I used Screen Print stamp by Seth Apter. 5. 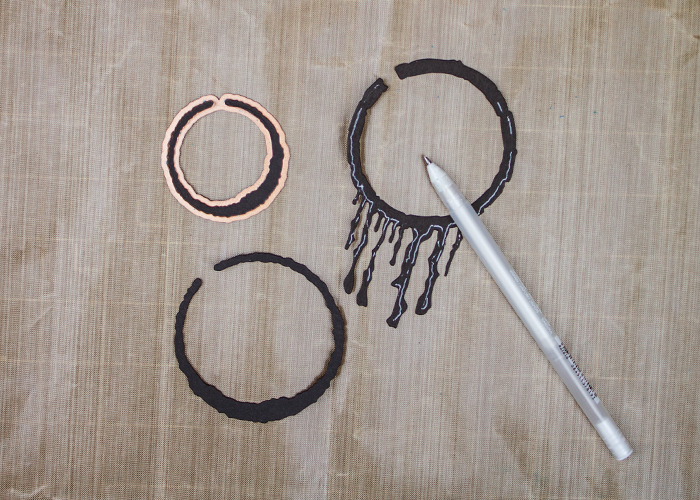 Using a white gel pen, “stencil” in the different sections of a stencil. 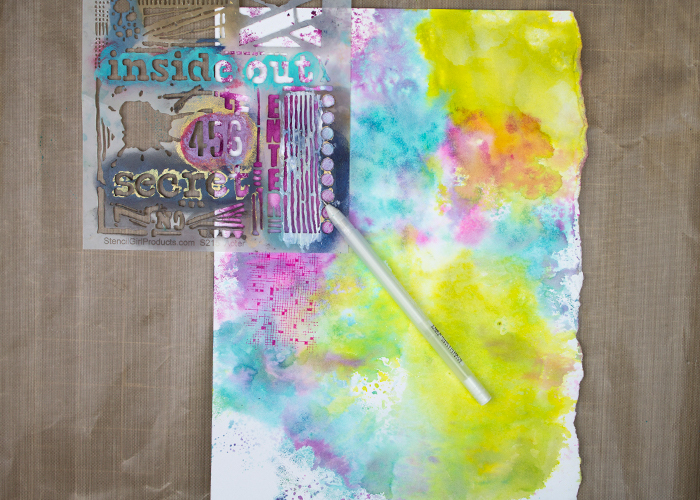 Shown here is “Inside-Out” by Seth Apter for StencilGirl. 6. Stencil the sentiments and designs randomly using ink and blending tool as well. 7. 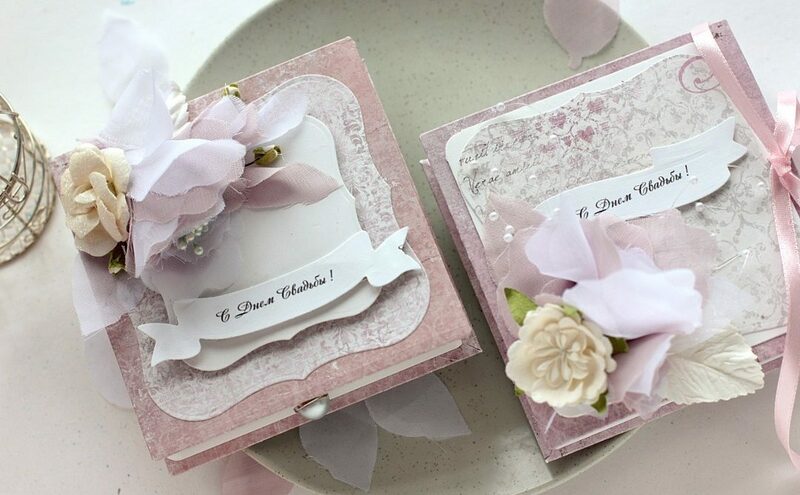 Now apply the embossing folder, Rose Tablecloth by Tammy Tutterow to the top of the paper. 8. 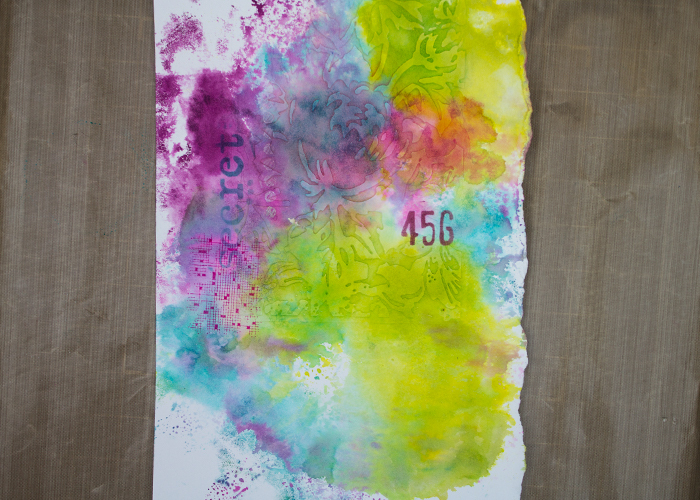 Take the blending tool and ink and gently rub over the embossed images with coordinating inks. 10. 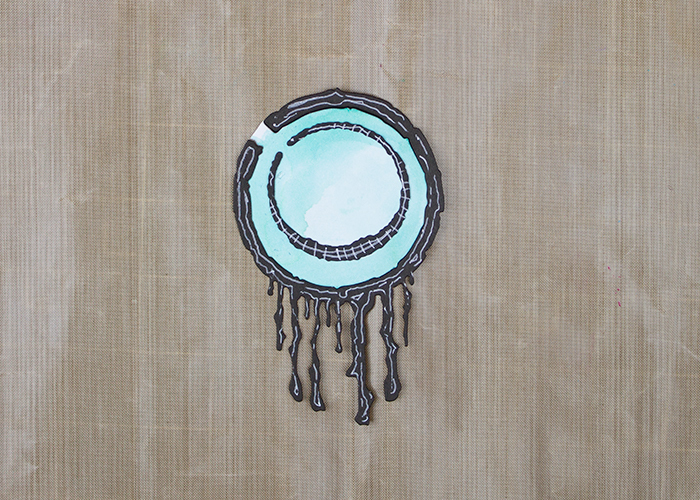 Die-cut Coffee Ring and Drip Drop dies from black card stock and mixed-media paper. Embellish black die pieces with white gel pen. 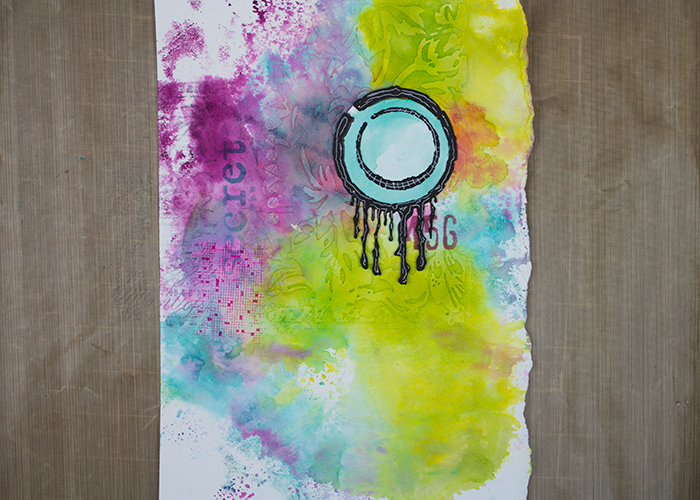 Snip off white centers to Coffee Ring and Drip Drop pieces and watercolor. 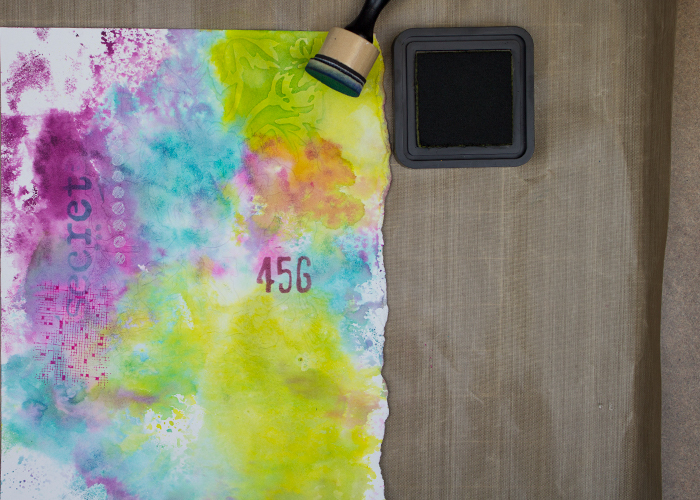 Attach the pieces to your canvas. 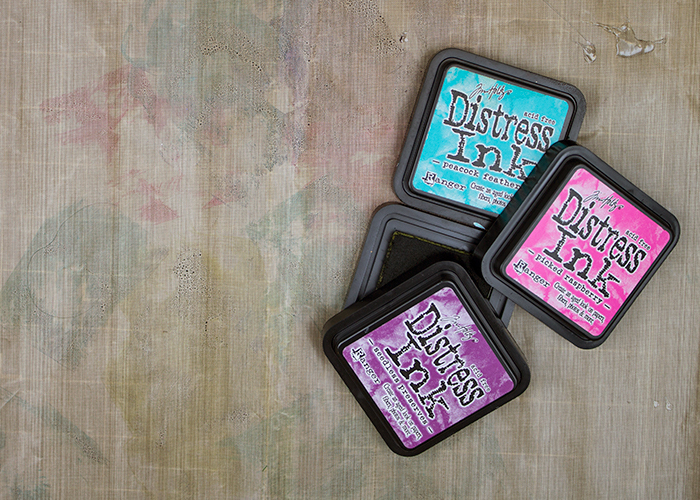 Use a pigma pen to add details of your choice. 13.Die-cut Positively Peony leaves from mixed-media paper and watercolor. When dry, outline edges with gold pen. Adhere to page. Attach additional coffee rings and centers. 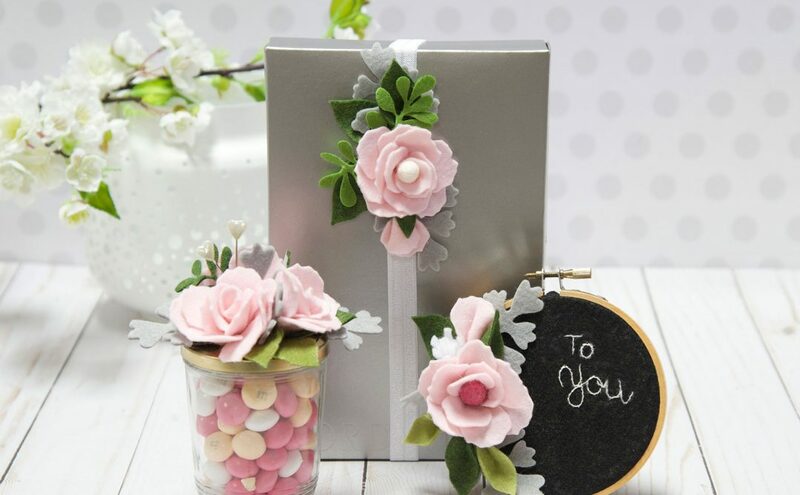 Embellish with black and white pen as desired. Add stitches by machine or hand if desired. 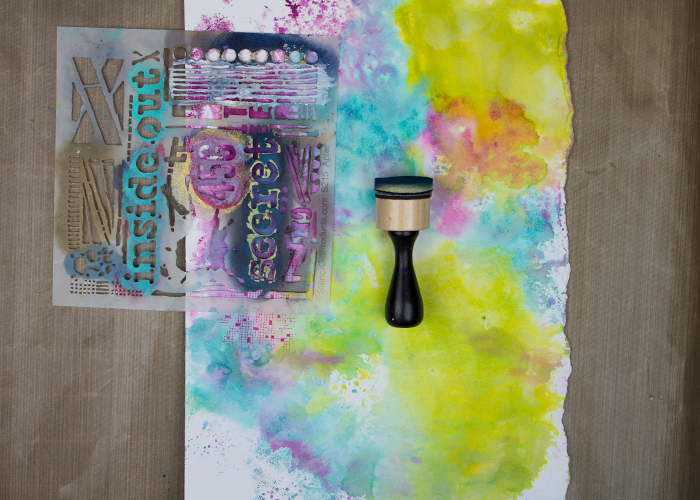 Complete the art piece by typing, stamping or handwriting a sentiment. *Tip- I typed my own sentiment onto the page. This is spectacular. 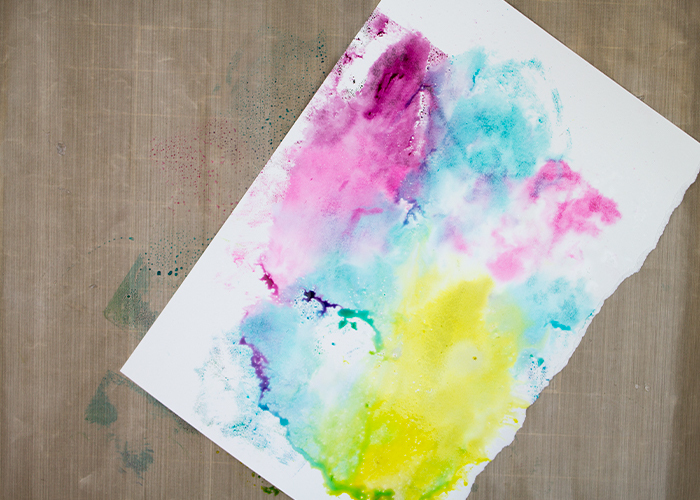 Such gorgeous colors, beautiful layering and excellent mark making. Love it! Thank you Seth. Really stepping outside of my cutesy box and loving this style.